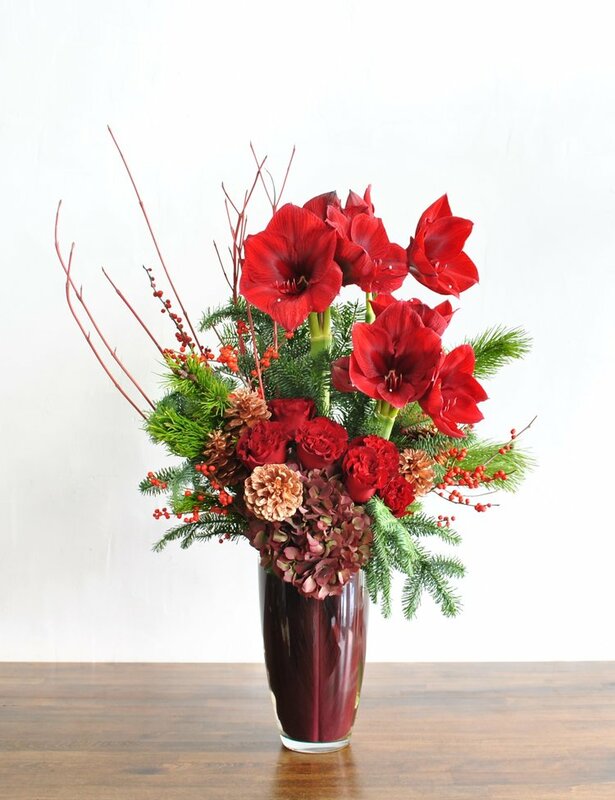 Our team of designers has worked hard to curate a spectacular holiday floral collection. Complete with bold Christmas Reds, Crisp Winter Whites and seasonal textures this collection encompasses the spirit of the Holiday Season. Be sure to browse our entire collection and order your favorite for delivery today! Door Wreaths of every style and size!